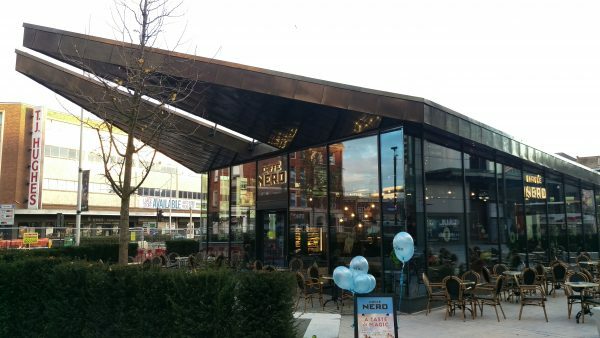 Works have completed on a new 50-seat flagship café pod for Caffé Nero at St Stephen’s shopping centre in Hull. The bespoke modern design by The Harris Partnership features a high specification material palette with Nordic brass roof, Rimex cladding and expansive full height glazing to establish a visual focal point on an important gateway site, framing key routes and views on the approach to the shopping centre, and offering customers and public a new enhanced place to dwell. The Harris Partnership is also serving as Principal Designer to the wider scheme, with landscaping providing an improved public realm space with pedestrian walkway leading to the café and featuring fluid planters, outdoor seating and improved lighting designed by Vector Design Concepts.